This petit adaptation of the sensational Cannelé Twist is abundant with grace and allure, as compelling as ever, with a sleek, fine band elegantly rising and twisting playfully into a gallery of glimmering stones. Wonderfully organic, this dynamic design seems to dance and twirl, flowing into a gorgeously detailed piece, both modern and timelessly chic. 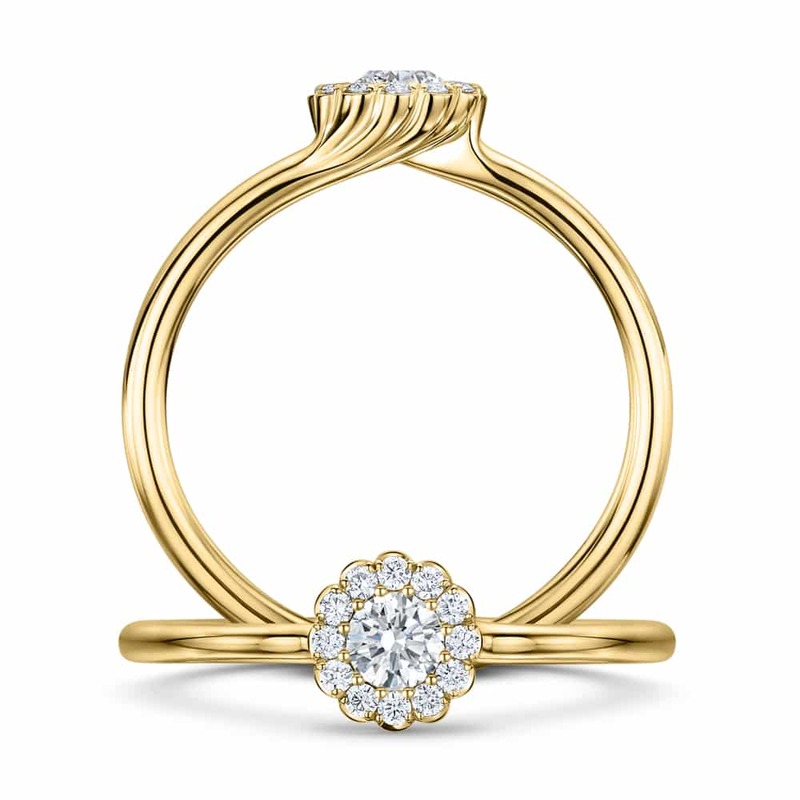 A mesmerising 0.15ct diamond centre G SI set in gleaming precious metal. 0.10ct on the surround. Available in a host of gemstones including diamond, coloured diamond, sapphire and ruby, and in platinum or 18ct white, rose or yellow gold settings. The Cannelé Twist wedding ring, plain or diamond set, is also available to buy as a matching ring.